The recipe: just 7 lbs of the diastatic brown malt, I combined both batches, Fuggle and Brewers Gold (both homegrown hops) and Wyeast London Ale III yeast. I mistakenly thought I could get away with a single step mash although this wasn’t the original plan. A protein rest would have helped for sure. Surprisingly my pH was 5.24 without any water additions. I kept my mash temp. high (156F) for sweetness since I wasn’t adding any caramel malts to this beer. Conversion took 4 1/2 hours. Original gravity was 1.051. 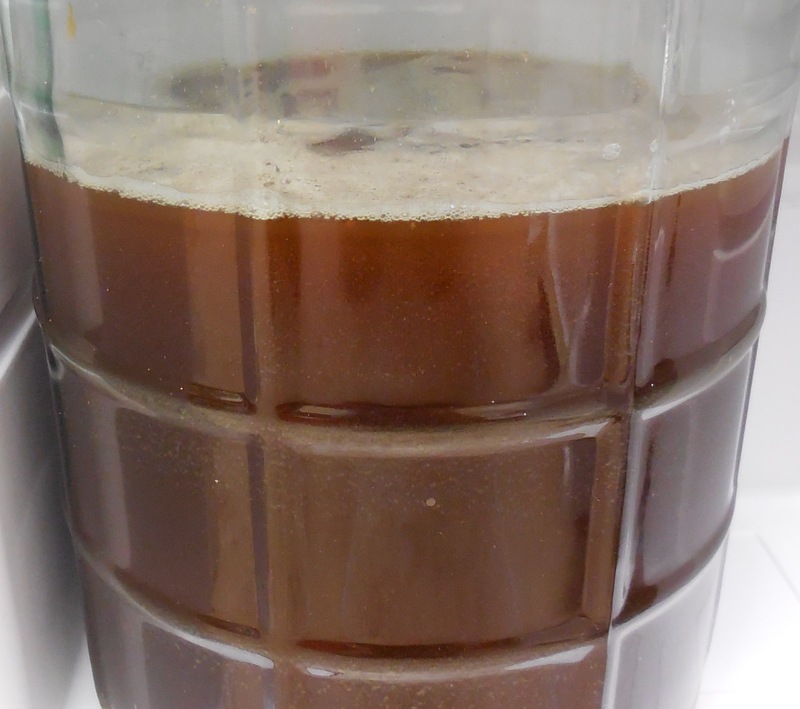 Final volume – 3.75 gallons, but I had a disastrous spill while transferring from brew pot to carboy. I must have lost 2 pints, luckily the kids were outside and didn’t hear all the swearing. The final colour was very much like a darker brown ale. There was quite a difference in aroma between the two batches of malt, the first being quite smoky like bacon, the second very toasty with hardly any smoke. 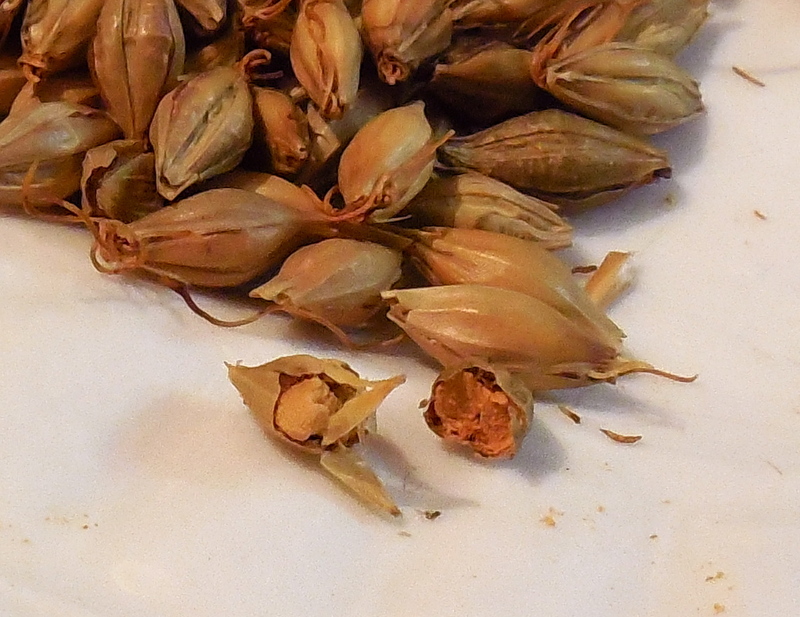 The colour of the first batch of malt when ground was, as expected, almost white, whereas the second was reddish brown. Who knows perhaps I made what would have been called an Amber malt, but I suspect if I had made the malt darker it may not have converted at all. If I do this again I think I would make a small batch of very dark roasted malt and combine it with a lighter version. First batch on the left, second on the right. 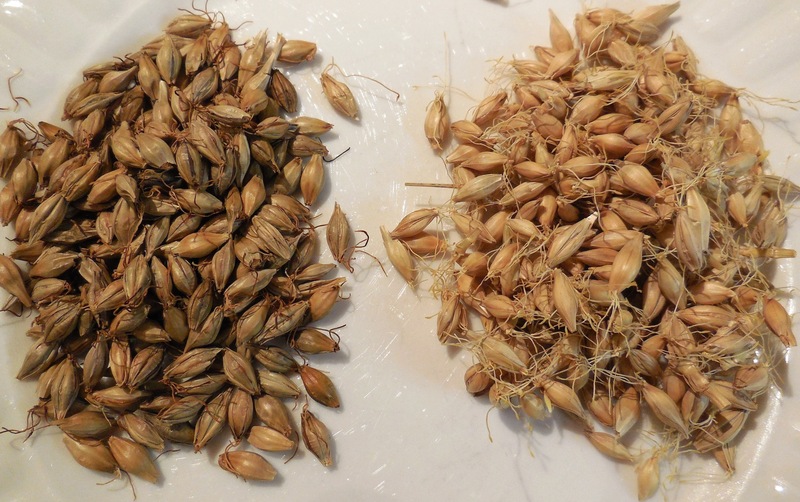 Brown malt on the left air-dried on the right. So with this batch there were a few things I did differently. 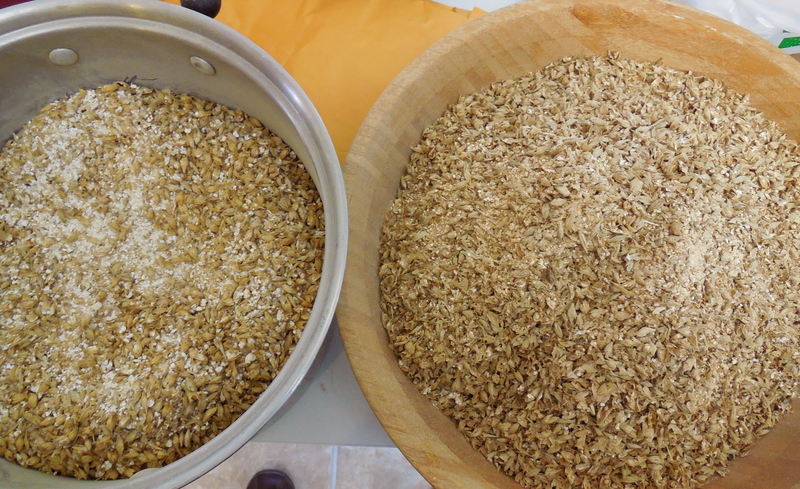 Firstly, I air dried the green malt for 2 and a half days instead of just overnight. One thing I didn’t mention in the video was that I had a fan on it – yes I know that’s cheating, but my whole process isn’t exactly historically accurate anyway. That being said I don’t think it detracts from the overall goal of making a malt that would taste similar to a real diastatic brown malt. I think my malt would have dried without the fan but I was worried about mould, so I didn’t want to take any chances. 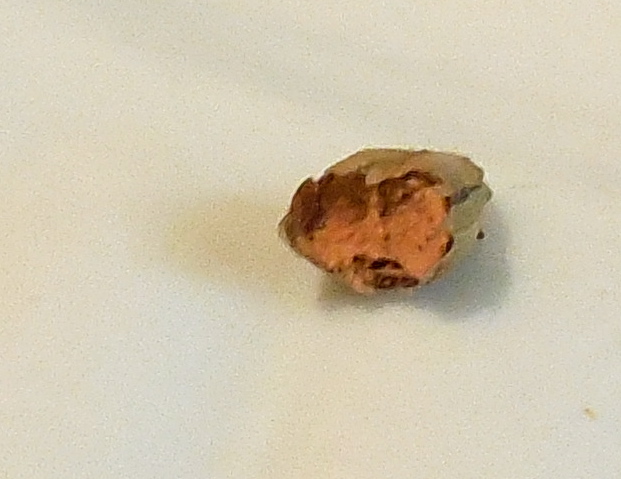 I was quite surprised with how quickly it dried. After two and a half days it was just over 4 lbs (my original staring weight was 4 lbs) This drastically reduced the amount of time in the kiln. I kilned it at around 45C for 3 hours and at this point when I bit into the grains they had a very dry crunch to them so I knew they were dry enough (less than 10% moisture) to handle the increase in temperature without destroying the enzymes. For this batch instead of charcoal and wood I just added another wood gas stove with the pecan pellets. This produced more heat and much less smoke. The final product still has a very subtle smoke aroma, but it is much more subtle than the first batch. At one point the temperature got a little too high but I think it was only around the fire box. In the video I state that the interior of the grains are a tan colour, however upon further investigation I’ve noticed that there are more white interiors than the tan ones.